How can I be notified when someone signs up for my app? Once your app is live, anyone in the Apple Store or Google Play Store can find and download your app. Admin can be notified when a new user signs up in the app. This is set up only by the Admin that wishes to receive notifications. 2. 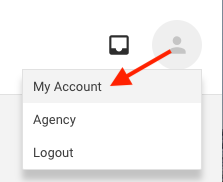 Once you are logged in, click your user icon in the upper right corner. 3. Select "My Agency" in the drop-down that appears. 4. 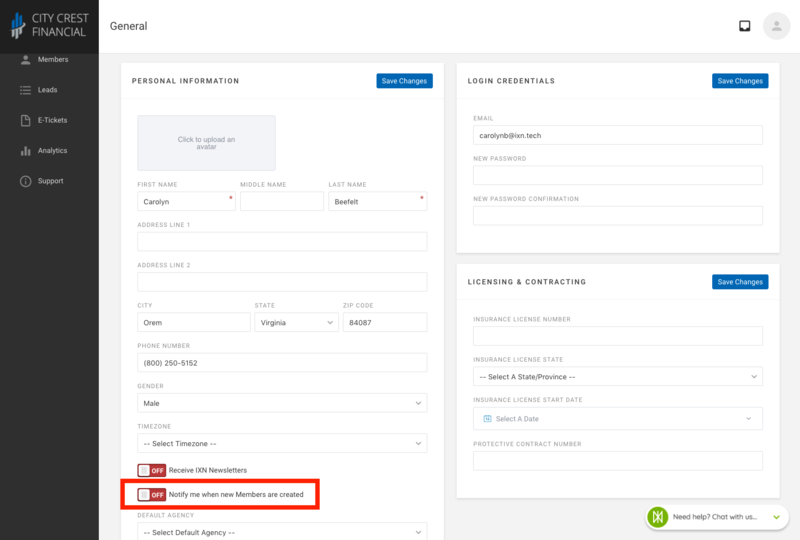 Once in the General Settings of your account, you will see a toggle labeled "Notify me when New Members are created" in the Personal Information section on the page. 5. Switch the toggle to "On" to receive notifications via email when new members are created. Be sure to Save Changes.